Blavity sat down with Alvin Irby, Chief Reading Inspirer at Barbershop Books, a nationally recognized program that creates child-friendly reading spaces in barbershops. Barbershop Books is a community-based literacy initiative that's working to close the reading achievement gap for young black boys. 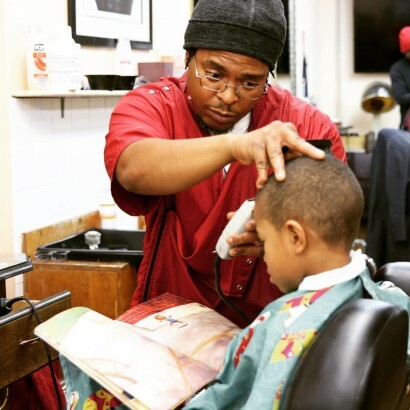 It leverages the cultural significance of barbershops in black communities to connect black men to black boys’ early reading experiences, to improve black boys’ access to engaging children’s books, and to increase the time black boys spend reading for fun. Blavity: Tell us more about your background, what made you dedicated to improving education for men and boys of color? Alvin Irby: I have a masters in childhood education and have taught kindergarten and first grade for several years. I also served as Education Director for the Boys Club of New York, where I managed a variety of after school and summer education programs for boys ages 6 to 21. The combination of being a black male and being an early childhood educator created a perfect storm one day in a barbershop. One of my students happened to walk into a barbershop while I was getting a haircut. Watching him sit for a long time with nothing to do inspired me to create barbershop books. B: When I take a look at the education system in the United States, it leaves me feeling defeated, what are ways you stay inspired to tackle the system in new and innovative ways? 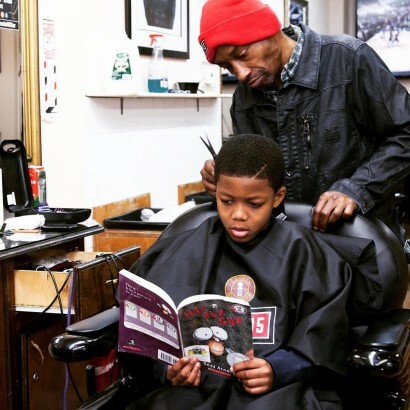 AI: Every time I walk into a barbershop and I see a father, mother, or grandparent reading with a small child I'm encouraged and inspired. When I see programs popping up across the country that have been inspired by our work, I know we're making a difference and more children develop a love for reading as a result of our work. I now have the opportunity to give keynote talks and facilitate trainings at early childhood conferences across the country. I often speak about cultural competency and how it creates transformative learning experiences for children. The reception and feedback from educators at these speaking engagements has been tremendously positive and definitely motivates me to keep pressing forward. B: My favorite part about your mission is that you use culturally-relevant, age-appropriate, and gender-responsive content. Tell us more about how reading materials that aren't relevant can push children of color further away from learning. AI: We know about the infamous #Oscarssowhite hashtag, but I believe there should be a similar hashtag for the children's book industry: #Childrensbookssowhite because, they are. A recent survey by Lee and Low books found that over 70% of children's publishing is white females, and not surprisingly, less than 5% of books feature black protagonists or are about black people. I've spent a lot of time thinking about the reading challenges that boys face, and I've reached the conclusion that a lot of their struggles stem from adults who ignore their interests. Boys generally like funny, silly, and gross books, but these types of titles are rarely used or highlighted in school. Boys with few reading experiences outside of school to affirm or cultivate his reading identity might conclude that he isn't a reader or that reading isn't for him. Thinking about how children identify and what interests them should be the basis for choosing books whether it's at home or in school. B: Lets talk about why access matters. 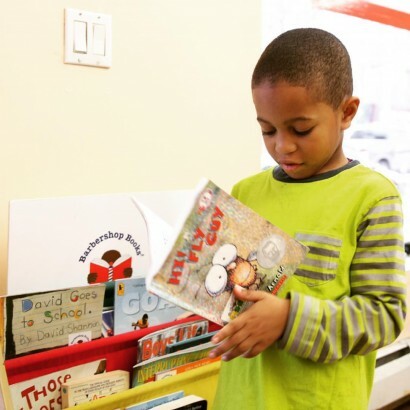 In your opinion, how does access to books and reading materials open up a world of opportunities for black children? AI: The research is clear about the impact of book access. Children with great access to age-appropriate books spend more time reading. The U.S. Department of Education's reading data shows that students who read for fun just once or twice a month have higher reading scores than students who indicate never or hardly ever reading for fun. So, the one to two trips that many young black boys take to the barbershop each month can make a real difference. Studies have also found that the number of books present in a child's home leads to high educational attainment. B: Additionally, lets talk about space. To what extent is learning in a safe space a vital aspect of increasing literacy among black boys? AI: Unfortunately, far too many schools are not safe learning environments for black boys, and I'm not talking about physically safe but social-emotionally and culturally safe. Black boys often find themselves in classrooms and school cultures that ask them to hate who they are or where they come from. Black boys rarely see themselves reflected positively in books or the culture of their schools, and this has a cumulative effect on the extent to which many black boys identify with school and learning. Why would you like school if everyday you are told that everything about you is wrong? The way you talk. The way you walk. What you eat. How you think. How you behave. 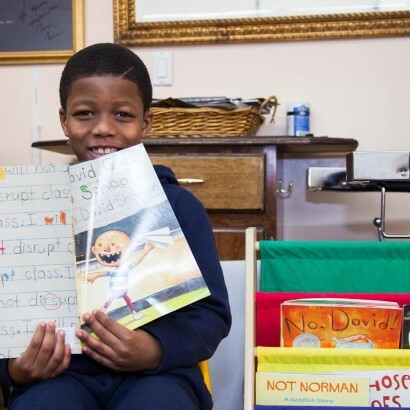 The key to improving reading outcomes for black boys is creating reading experiences that cultivate black boys' reading identity. Parents and educators should spend more time thinking about how to help black boys say three words: "I'm a reader."